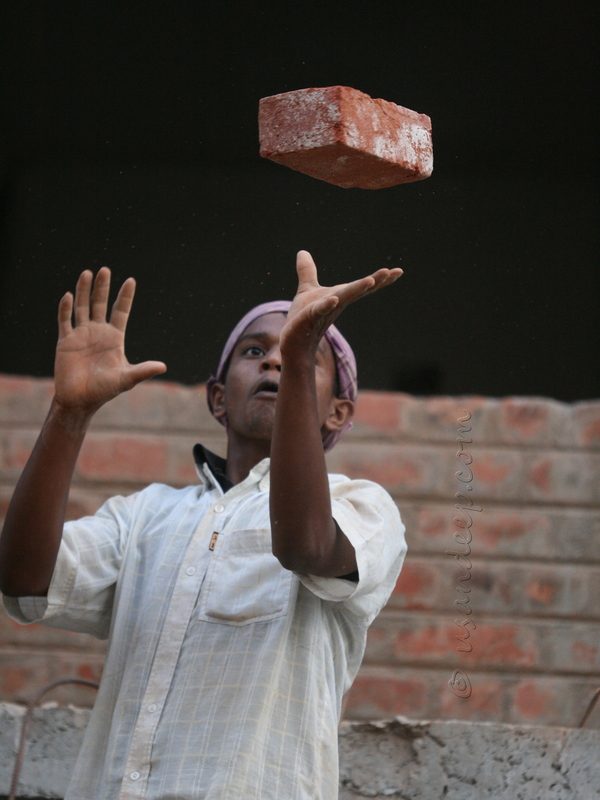 Sandeep 's World >> Construction worker and the catch! Sandeep 's World >> Thru' the Lens >> Construction worker and the catch! Construction worker and the catch! Saw this on my way home for lunch - at a time when I used to walk to work and came home for lunch! - at a construction site near my house. Stood there for a while trying to capture the catch at the right moment and this is the best I could manage.